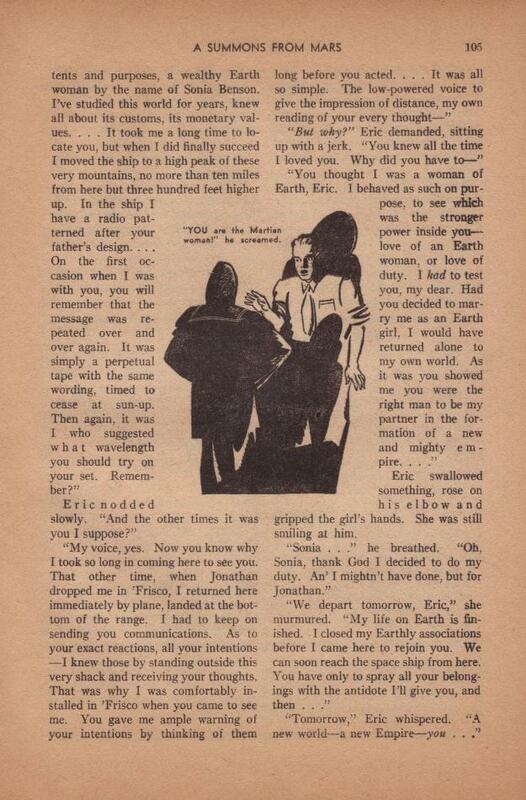 Magazine illustration for the pulp magazine, Amazing Stories. 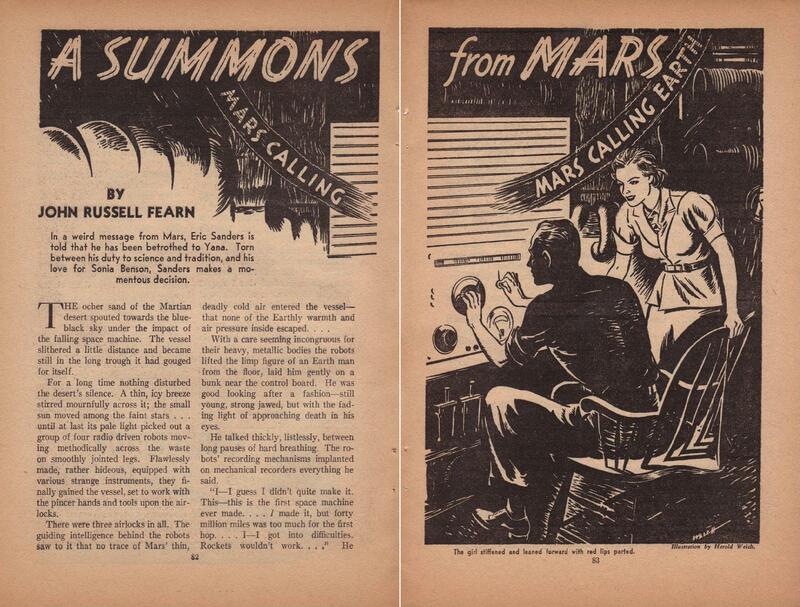 Another illustration for the story, A Summons From Mars by John Russell Fearn, can be seen here. The original illustrations have been lost.